Premieres August 25, 2015 on PBS! Check your local listings. Bakeries are popular places. They smell great. They are full of wonderful things to eat, from crusty breads to gooey and sweet treats. And they often become neighborhood meeting places, where bakers work hard and where people often leave with good feelings as well as fresh baked goods. 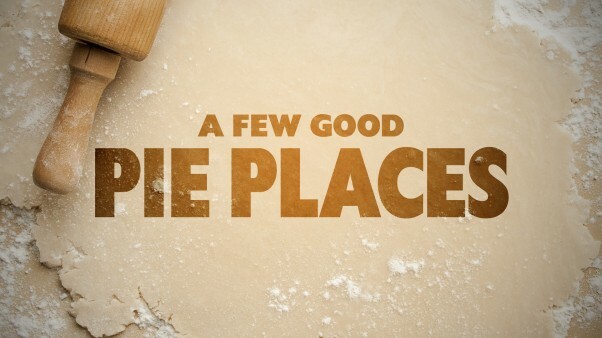 In this documentary, we celebrate A Few Great Bakeries across America, never claiming that this is a list of "Best Bakeries" but rather just a few warm ones worth checking out. All of these places seem connected by early mornings, long hours of hard work, delicious products and customers who love them. We happily celebrate these few bakeries and hope that everyone will be inspired to look for more great ones all across America. 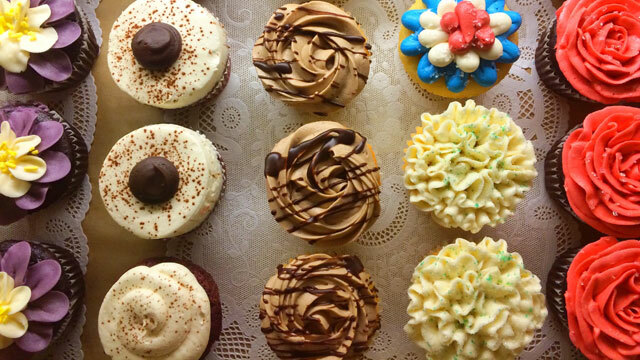 What is Your Favorite Local Bakery? We look at a simple Italian bread bakery that’s been a beloved spot in Syracuse, New York, since it opened in 1895. Called the Columbus Baking Company, it is now owned and run by Jimmy Retzos and his family, and their various daily-made loaves are golden brown and delicious in several different shapes. On Martha’s Vineyard, at Orange Peel Bakery, Julie Vanderhoop and her assistants make beautiful biscuits, breads, cookies and such in a wood-fired oven. On Wednesday evenings, that oven also gets heated up for Pizza Night, a community event when everyone is encouraged to bring their own toppings. 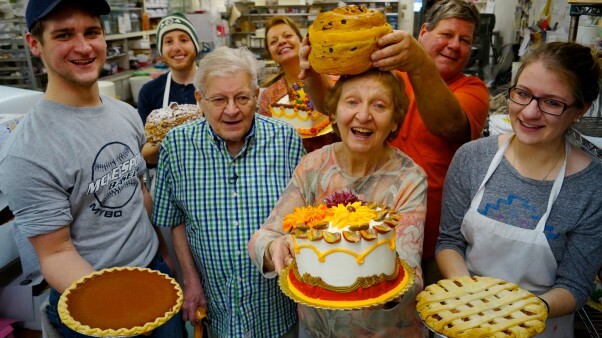 At Minerva Bakery in McKeesport, Pennsylvania, the Monezis family has been supplying their neighbors with many sorts of quality fresh items, from Eastern European paska bread to iced coffee-cakes and cream-filled ladylocks, since 1923.